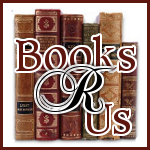 Ginger High- Books R Us: REVIEW OF A WOMAN'S POWER BY F. KLINGLER. REVIEW OF A WOMAN'S POWER BY F. KLINGLER. I want to welcome Fay Klinger to Books R Us. Fay is the author of A Woman's Power and is touring the blogosphere. Thanks for stopping by. 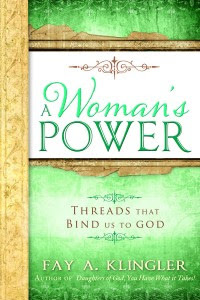 For any woman who's ever felt like she's hanging on by a single thread, this inspiring book reveals the truth: you're surrounded by threads of strength and power that can bring you safety, peace, and lasting happiness. All you have to do is grab hold of them. Uplifting and empowering, this book offers women everywhere a message of hope. Although I do not usually read inspirational books, I really enjoyed the book. Life can be tough and sometimes you feel overwhelmed and you may have nowhere to turn. The author included quotes and scripture to help us empower ourselves and take charge of our lives. With the help of the Lord, we can tackle any challenge that is placed before us and it is importance to realize that things happen for a reason and not by chance. Even if you are not of the Mormon faith, I recommend the book to every woman (or man) who wants to learn how to take charge of their lives and grow closer to the Lord. The book was well written, easy to read and made me think about my life and my family. I really like this book! I can always use a good book that can help me! Thanks for posting this! Thanks for posting. I, for one, love to read inspirational book especially those relevant to woman empowerment and family. I too do not usually read inspirational books. I often find them unrealistic and not real life, at least not my life. But you make this book sound interesting. I like that it has scripture in it but is not overly powering 'bible thumping'.